The High Cost of BSL! The Best Friends Animal Sanctuary wrote an article about breed-specific banning. In a nutshell it does not work. Help defeat BSL in your town. BSL is bad for dogs and people. Breed discriminatory legislation (BDL) is happening in cities across the country, and it usually begins with a dog attacking someone. If the dog is, say, a Labrador retriever or a springer spaniel, chances are people will hear little, if anything about it. If the dog is suspected to be a “pit bull”— even if it’s not—the media can’t get enough of the story. “If it bleeds, it leads” is a common mantra among most mainstream media organizations. They know their newspaper readers and television news viewers will eat it right up. City leaders, anxious to pacify voters in their communities and quell fears, often enact laws banning pit bulls, and other breeds of dogs, from their communities. The problem is breed bans don’t do anything to keep their communities safer. Julie Castle, Best Friends director of Community Programs and Services, agrees. But there’s another element to add to the mix—the costs to taxpayers to enforce these laws. And now, thanks to a groundbreaking study commissioned by Best Friends and funded by the National Canine Research Council, local lawmakers can find out just what those costs would be in their own cities, counties and states with a simple click of a mouse. The study, “The Fiscal Impact of Breed Discriminatory Legislation in the United States,” conducted by the New York City-based John Dunham and Associates, shows it would cost governmental entities more than $450 million to enforce a nationwide ban on pit bulls. That number includes the costs of enforcement, kenneling, veterinary care, euthanasia and disposal, litigation and DNA testing. There are an estimated 72.1 million dogs in the U.S. of which approximately 5 million—or 6.9 percent—are pit bulls or pit bull mixes. Pit bull is a generic name for American pit bull terriers, American Staffordshire terriers, Staffordshire bull terriers and their mixes. The online calculator allows anyone to estimate by city, county or state the costs for implementing and enforcing a breed-specific law. The website page also contains information about how the study was conducted, facts about breed bans and their ineffectiveness, and talking points to help guide people while speaking with local lawmakers. “It puts activism in the hands of the public and gives them the tools necessary to fight breed bans in their own communities,” Castle says. The costs of breed bans vary depending on the population of a community. For instance, take New York City, a city of more than eight million people. 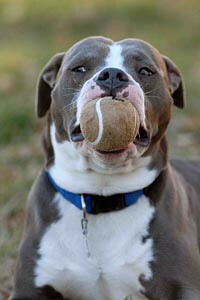 According to the study, there are an estimated 1,532,100 dogs in the city, of which 106,460 are pit bull-type dogs. A pit bull ban would cost New York City taxpayers a total of $12,895,950 annually, which includes $7,063,560 for enforcement, $2,446,590 for kenneling and veterinary care, $2,245,570 for euthanizing and disposal, $191,590 for litigation costs and $948,640 for DNA testing. Compare those costs to those of Abbeville, Alabama, a small southern city with about 3,000 residents. 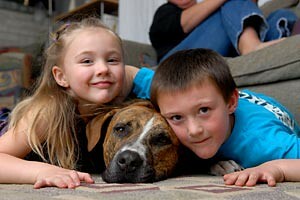 According to the study, there are an estimated 840 dogs in the city, of which 60 are pit bull-type dogs. A breed ban would cost the town’s taxpayers $4,360 each year. That might not sound like a lot, but it is for small towns like Abbeville. Dunham, whose firm has done economic analyses on all kinds of things, says what surprised him most while doing this study is how little data there is out there on pets. VanKavage hopes the study will convince government officials that there are much better ways to keep their communities safe than enacting breed bans, such as ordinances that focus on responsible pet ownership and work to prevent dog bites before they happen. •	Visit Pit Bulls: Saving America’s Dog, one of four Best Friends campaigns aimed at reaching the goal of No More Homeless Pets. •	Read more about breed discriminatory legislation and other issues facing pit bulls around the country on the Best Friends Network. •	Read about Italy recently revoking its breed ban stating the ban had no scientific justification. •	Discover how Calgary, Canada has lowest dog bite rates in 25 years, without enacting breed discriminatory legislation. ← Model Animal Law: An Idea Whose Time Has Come?